Sandra says she is thrilled to be part of “Boogie with the Stars”. When not under Peter’s tutelage preparing for the competition recently, you may have seen Sandra anchoring the CKPG TV 5’oclock News every night. You may also have seen her in many of Judy Russell’s productions, including her role as “Mrs. Walker” in Tommy, “Adelaide” in Guys and Dolls and “Dolly” herself in Hello Dolly, just to name a few. In her spare time (what there is of it these days) you will find her with her husband Paul and son Ethan, both of whom have been incredibly supportive of all her endeavors. Peter is a local dance instructor and founding member of the Dance North “Ballroom Dance Club”. He came to Prince George from Ontario in the 70’s and has been an active member of the dance community since then. During the 80’s and 90’s when country dancing became very fashionable, Peter danced at a competitive level with a local dance troop which travelled to competitions and workshops in BC and Alberta, as well doing regular public performances in Prince George and other parts of Northern BC. His other passion in life is racing cars! Now try connecting those two hobbies together! Peter & Paz have been kicking around the idea of a big NYE dance for a while now, and finally put it together for 2010 – he’s hoping everyone enjoys the evening so much that they will want a repeat again for 2011, so be sure to pass along your thoughts and suggestions. Debora has been a health care professional for the past 33 years and a Prince George Councilor since 2005. She currently works in Clinical Neurophysiology at the UHNBC and was the recipient of the 2006 Northern BC’s “Today’s Woman Leadership in Technology” Award. Debora makes her dancing debut at “Boogie with the Stars” and goes down in history as northern British Columbia’s first “Latin Dancer, award winning health care professional, artist, actress and politician”. One more piece of trivia about Debora you all should know, is that she managed to break her arm in a fall barely a month before the “Boogie with the Stars” competition. This merely underlines her commitment, and will to succeed! Michael, originally hailing from Venezuela, is one of the nicest guys you could ever wish to meet, and always with his wonderful warm smile. He is the President of the Latino-Canadian Association of Northern BC here in Prince George, where he is busy teaching and organizing events. He is a strong family man, and together his with his wonderful and happy wife, Benita, they have three endearing children (or rambunctious boys as Benita often calls them). In his recreational time, Michael enjoys dancing of course, as well as archery and politics. He works as a Geographic Information Systems Technologist at the City of Prince George, and in his very precious spare time, volunteers with the Boy Scouts. 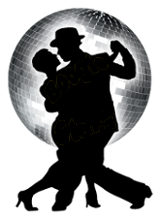 The Latino Association (www.latinpg.com) offers classes in a variety of Latin Dances, so be sure to check them out sometime. Michelle is a well known and well respected Doctor in our medical community – she is a very likeable, engaging and committed lady who not only works very hard in her enormously worthwhile profession, but also dedicates her precious time to volunteer work, and being on the Board of the Spirit of the North Healthcare Foundation. She came to Prince George from Vancouver in 1995 after finishing her surgery training. A large part of her practice these days involves the diagnosis and treatment of breast cancer. In her recreational time and activities, she enjoys cross country skiing and scuba diving, which she has experienced in various parts of the world. Now she can add dancing to her list of achievements, although it’s probably fair to say that “Boogie with the Stars” will not take her globetrotting! Dennis was introduced to ballroom dance at high school, where he took lessons because his girlfriend did. While he didn’t really ‘get’ dancing at the time, he earned his Junior Bronze medal for performance in the waltz. Nearly two decades later, while at the University of Botswana, he realized that he really liked dancing. Consequently he became an active member of the large student dance club for nearly a decade. Another decade later, in the 1990s, while living in Calgary, he competed as an amateur across Alberta and B.C. to Gold level in International Standard, and Silver in Latin. During this time he also earned Bronze and Silver medals in Standard and Latin performance. He has lived in Prince George since 2000, where he helped the development of Ballroom dance, initially through the start-up of the Friday night drop-ins at Judy Russell’s Dance School, and then as a foundingg member of Dance North “Ballroom Dance Club”. He continues to extend his dance repertoire with his dance partner, Karen Cheung, while currently working with Michelle for this competition. Grant was born and raised in central Alberta and attended the University of Alberta for medical school and residency in General Pathology. After graduating, he worked in Brandon, Manitoba for 4 years before moving to Prince George where he has now been since 1998. Currently he is the Laboratory Medical director at UHNBC, Lakes District Hospital in Burns Lake, Fraser Lake Community Health Centre, St. John Hospital in Vanderhoof, and Stuart Lake Hospital in Fort St. James – quite a responsibility, but from what we hear around the medical community, something he very easily takes in his stride and handles with a great deal prowess. Here in town, he fulfils a role as managing partner for Prince George Pathologists. Colleen is a well liked teacher who carried the Olympic Torch for Canada. She is an active member of Dance North “Ballroom Dance Club”. Miriam Thalmann, one of her students did a wonderful job of writing Colleen’s bio. “Most people would say giving your students an assignment on writing things about her is suicide, but I promise everything is true! First off she’s our superhero – just kidding, but with all the amazing things she’s pulled off for us, she could be. Ms. Ruddy grew up in Montreal, Canada and when she’s imitating an angry French priest, you can just about laugh your head off. She has taught in Turkey and Korea. She has pulled off teaching an entire class of obnoxious kids how to Waltz, Two-step, Mambo, Tango and West Coast Swing…somewhat. Yes, yes, Bravo! Bravo! She’s learned how to put up with us annoying trouble-makers, and we have learned to put up with her. One thing though, Ms. Ruddy could well be the “Star” as well as the instructor. Dr. Winston Bishop was born on the Spice Island of Grenada, in the West Indies, a wonderfully exotic name that conjures up the most romantic of images. He has been in Prince George since 1975, and has contributed significantly to our medical community, gaining the reputation of being a very competent Oncologist. He enjoys travel and outdoor activities such as cross country skiing, running, fishing and tennis. Primarily his first love is Latin music, but he is accepting the challenge of the Viennese waltz very graciously, and with a wonderful partner like Stella, how can he go wrong? Stella is an amazing lady, with tremendous depth, and an inspiration to us all. She has been dancing longer than any of us can imagine, and has more rhythm and soul in her little figure than most of us posses in our entire bodies. Stella has spent her whole life on the stage, entertaining folks, and still continues to do so. Stella would like to thank Dr. Winston Bishop, her “Star Partner”, as well as her fabulous friends at Dance North for making the past 5 years so fantastic. Thanks to the wonderful group who have kept things “In the Mood” every week for the six stars. Special thanks to hubby Carl, who’s just got a new knee (hopefully geared for dancing!) During WWII, Stella’s Papa, a dancer during the Big Band Era, danced in a top hat, white tie and tails, sometimes balancing his young prodigy of 4 years, tippy toes upon his feet, and taught her to waltz. Meanwhile, big sister Diana, (Stella’s partner in crime), sneaked into the walnut wardrobe after Mama’s blue gown (c/w concertina pleats), silver dance slippers, red lipstick, and yes the occasional “Will’s Wild Woodbine” (a popular English cigarette). She wishes you all great dancing in 2011. John was born and raised in Prince George and has spent most of his life in Northern BC. John had been involved in Theatre for many years and through his activities in the Theatre Workshop Society, he met Kim Royle. They were married in 1995 and currently live at Cluculz Lake. John was a forestry consultant for many years including a period where he ran his own company. He entered politics in 2001 and was first elected as a Board of Education Trustee in 2002. In 2005 John entered Provincial Politics when elected to represent the riding of Prince George Omineca. He was re-elected in 2009 in the riding of Nechako-Lakes and is currently the Parliamentary Secretary for Silviculture. Although John enjoys dancing and can often be found on the dance floor with Kim at a variety of events, he’s never taken lessons. Learning a formal dance as part of this competition has been a challenge, but Paz is a great teacher and he has really enjoyed this opportunity. Paz moved to Prince George from the Philippines in 1981 and has been a very active member of the community since then. She received an outstanding 17 years “Prince George Community Volunteer Award” in 1997. She has performed Philippine folk dances on Canada day Celebrations & other community events for several years when the Filipino-Canadian Friendship Club was formed in 1982. She learned folk dances & Hula at school during Physical Education (PE). She joined ballroom dancing approximately 4 years ago and learned more dance disciplines – she is one of the original founders of Dance North “Ballroom Dance Club”. She loves Latin dances and is particularly passionate about Tango. She enjoys teaching John the Argentine Tango. It has always been her dream to organize a big event such as “Boogie with the Stars”, so together with Peter & Kim Royle from the Spirit of the North, she is making that dream come true.